“Participation” is The Osho Zen Tarot Card for the Week of April 28 to May 4, 2014. Have you ever seen night going? Very few people even become aware of things which are happening every day. Have you ever seen the evening coming? The midnight and its song? The sunrise and its beauty? We are behaving almost like blind people. In such a beautiful world we are living in small ponds of our own misery. It is familiar, so even if somebody wants to pull you out, you struggle. You don’t want to be pulled out of your misery, of your suffering. Otherwise there is so much joy all around, you have just to be aware of it and to become a participant, not a spectator. Each figure in this mandala holds the right hand up, in an attitude of receiving, and the left hand down, in an attitude of giving. The whole circle creates a tremendous energy field that takes on the shape of the double dorje, the Tibetan symbol for the thunderbolt. The mandala has a quality like that of the energy field that forms around a buddha, where all the individuals taking part in the circle make a unique contribution to create a unified and vital whole. It is like a flower, whose wholeness is even more beautiful than the sum of its parts, at the same time enhancing the beauty of each individual petal. You have an opportunity to participate with others now to make your contribution to creating something greater and more beautiful than each of you could manage alone. Your participation will not only nourish you, but will also contribute something precious to the whole. In my Counseling practice I utilize The Osho Zen Tarot to help clients uncover the unconscious aspects of the issues they are facing. If you are interested in scheduling a counseling appointment, I would love to hear from you. 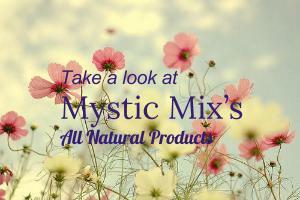 Please contact me at: Laura@mysticmix.com, laura@heartfelt-healing.com, or (801) 366-4469, cell.